Boston, MA, January 14, 2019 – WordStream, Inc., a provider of online marketing software and services, has joined forces with the Boston Women’s Workforce Council, a public-private partnership between the City of Boston, Boston University, and more than 230 other Boston-area employers committed to closing the gender wage gap. By signing Mayor Marty Walsh’s 100% Talent Compact, WordStream commits to help eliminate the gender wage gap by reviewing and reporting employee demographic and salary data anonymously every two years for analysis and publication. This Talent Compact is a first-in-the-nation effort to level the playing field for working women. WordStream’s Vice President of People Success Lucy Lemons said that signing the Talent Compact was a natural choice for the company, as the mission aligns not only with WordStream’s internal efforts to evaluate gender equality and compensation, but also with its core company values. “This aligns with WordStream’s commitment to have a positive impact on the Boston community, focusing on members of the community who could benefit from us using our platform and our voice,” she said. According to the Boston Women’s Workforce Council’s 2017 report, women who work in Greater Boston earn significantly less than their male colleagues, while women are the majority of both Boston’s residents and workforce. The Council’s mission is to work with the businesses in the Greater Boston area in a private-public endeavor to eliminate the gender wage gap, remove the visible and invisible barriers to women’s advancement, and ensure that 100% of the talent pool is used to make Boston the best area in the country for working women. WordStream, Lemons noted, is proud to be a part of a group of organizations publicly committed to this effort. “We will continue to evaluate and participate in efforts that enable us to hire the best talent, retain the best talent, and have a positive impact on our community,” she said. WordStream is on a mission to make online advertising easy. 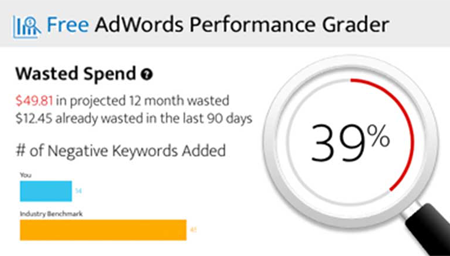 The WordStream Advisor platform helps businesses of all sizes maximize the results of their online advertising by giving advertisers powerful tools to easily build, manage and optimize campaigns across ad networks like Google Ads, Bing, Instagram, Facebook—and more!